Is fall the best time of the year or what? After living in the desert for 15 years , I am so thankful to be back in the Pacific Northwest for all things fall…pumpkins and trees and cool crisp air, oh my! Five years later, I may not be shouting at people anymore…lol…but this time of year just gets me. If you are a faithful reader, you know each month I (we) participate in the Thrifty Style Team. This is a group of bloggers that pick up a thrift store item and use it in our home or do a little transformation to an item, like this license plate planter HERE. 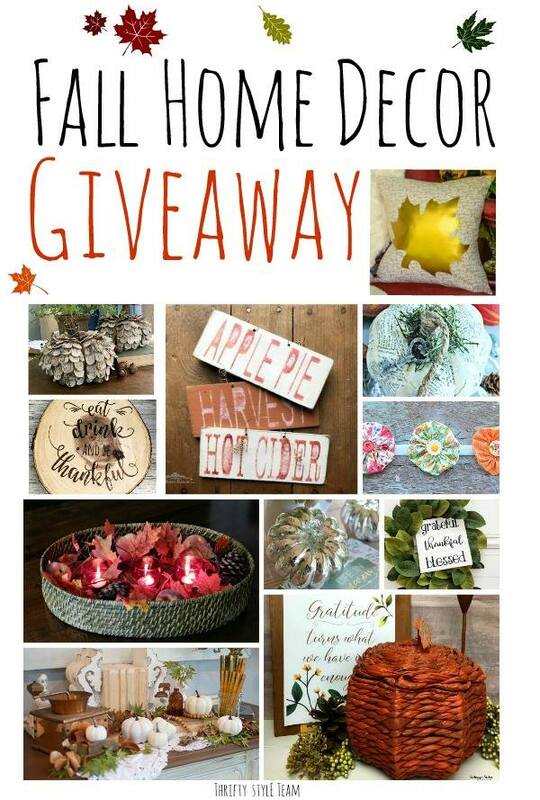 Today, however, we are sharing some of our finds with you all in a FALL HOME DECOR GIVEAWAY. My prize is this adorable wicker pumpkin. The lid comes off so you can fill it with items or leave it as is. Isn’t it cute? BTW-Each blogger will be giving away a prize and you have to visit each blog to see what their prizes and how to win that particular giveaway. The info here is for my giveaway only. One winner will be selected at random. Open to US residents only (sorry shipping is just too costly elsewhere). You must be at least 18 years old to enter. Giveaway is not sponsored by anyone; this is just me saying thanks for being here. Leave a comment on why you would like to adopt the pumpkin. Visit this post to find some ah-mazing upcycled pumpkins. Tell a friend, share this to any friend who might like this little guy. Pin the graphic at the bottom and/or follow us on Pinterest. Sign up for our Newsletter and while you are there don’t forget to grab your gratitude printable (pictured above). Sign up for our emails sharing ideas to salvage your time, money, resources, and moments. Plus, there is a FREE Printable only for subscribers. Winner will be selected and notified on September 19th. That person will have 24 hours to respond to the notification or another winner will be selected. Now, are you ready to see what everyone else is giving away? Awesome! I hope you enjoy it and get some great ideas. Thank you Lisa. Good luck on the giveaway. I would really like to adopt this pumpkin for my little girl. She was a temporary foster child that I got from birth and now she will be 12 in two weeks. So much for temporary huh. Anyway, my Thanksgiving surprise to her is going to be the finalization of her adoption. She doesn’t know yet, but I thought what a perfect gift for Thanksgiving, when you realize the most how much you really have and how thankful you really should be. So, thank you for allowing me the opportunity to win this wonderful fall collection. Wow, that’s awesome! That will be an amazing gift to her. Good luck on the giveaway! I’m following on FB ( Amy Maddux Cooley). Thanks for the cute giveaway! Thank you Amy! Good luck. Thank you Amy! Good luck on the giveaway. 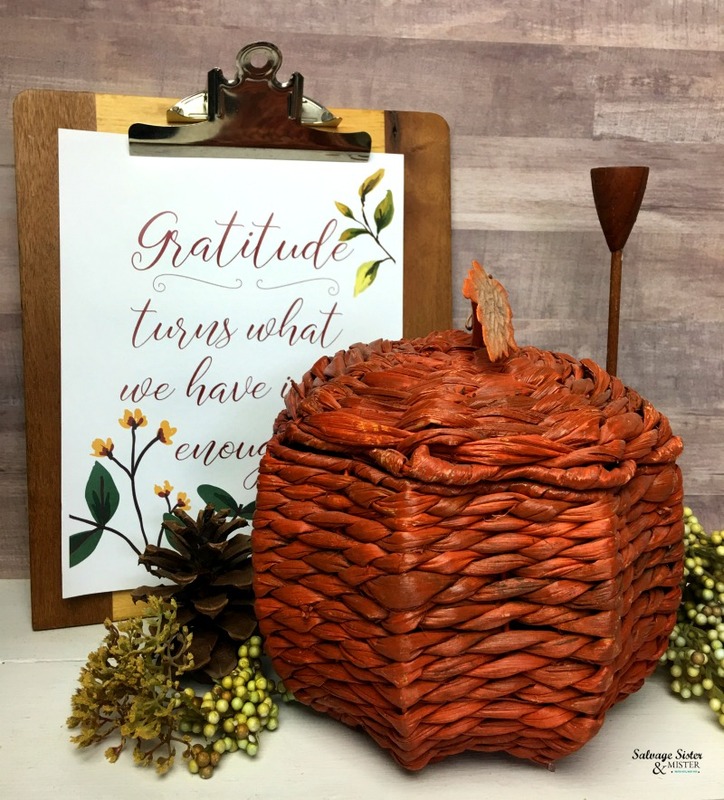 I would love to add this cute wicker pumpkin to my fall decor collection! I absolutely love decorating for the season and have quite the collection of pumpkins in different sizes, textures and materials. This would be a great addition! Thanks! I love decorating for fall too. Good luck on the giveaway. I would like to put my daughter’s treats in it for the season. Her name is Autumn, of course, and she loves fall as much as I do, so she’d love this! That’s a great idea Kinza! Good luck! I love pumpkins – any shape, size, color, texture – and all thinks pumpkin flavored! I have cute pumpkins all over my house – yours will feel right at home! You would probably give it a good home Vicki! Good luck on the giveaway. I would love to adopt this pumpkin and I would name her Merlyne. She reminds me of stories my momma would tell about living on a truck farm. How she would pray that her daddy would bring home a pumpkin. They would use that pumpkin for everything that reminds me of fall. Pumpkin pie, pumpkin seeds roasted, pumpkin bread etc. Merlyne would sit along my many other pumpkins on my island. What a fun story Jayne! Good luck on the giveaway. I’d like to win so I could add this to my fall decorations. I was already subscribed. This cute little guy would look great on my rustic coffee table this fall. Oh, Kathy, I bet it would! It is perfect for some rustic decor. I love decorating for fall, and for me pumpkins are a huge part of it, in all sizes and hues. This one has amazing color and texture, and serves a dual purpose, for decor and storage. So pretty…I love it! Joanne, For sure. The great thing is you could line it with a towel and serve bread from it or you could have treats in it for Halloween. It’s so versatile. Good luck. Winner will be announced shortly. I would love to adopt this pumpkin because it would look adorable on my entertaining counter ! This is such an adorable pumpkin! I can see it sitting on my sofa table with candles and leaves! 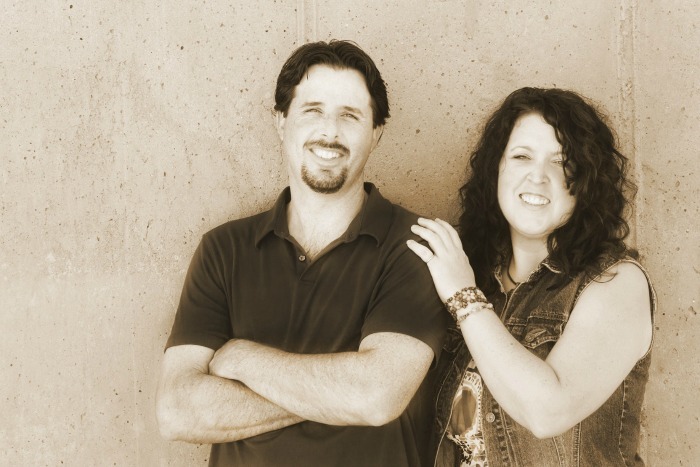 I pinned the graphic and follow you on Pinterest…dolly sarrio. This pumpkin would be on display should I be the winner. Truthfully, I don’t have a lot of fall decor so this would be great! Thanks for the giveaway. Dolly, Thank you so much for hanging out with us on Pinterest and glad you got the free printable. Stay tuned for the adoption announcement. This wold look so good among my collection of pumpkins around the house. 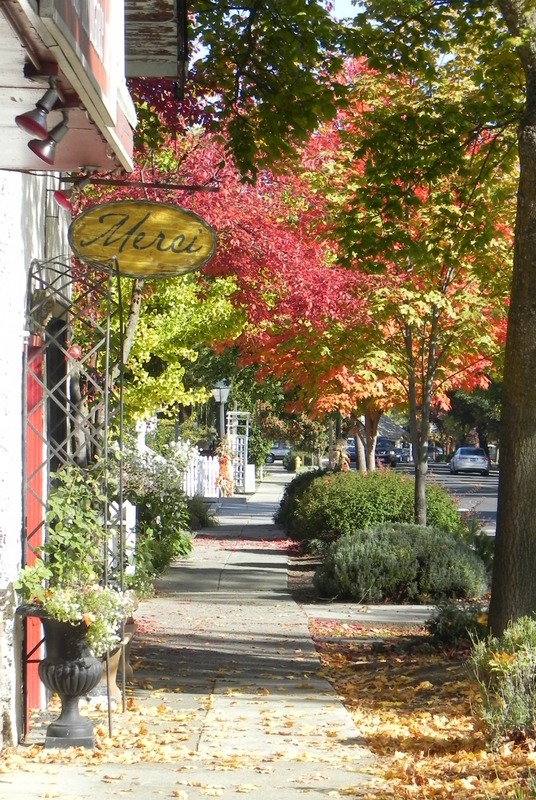 Fall is ,y favorite time of the year. Thanks for the giveaway. Ann, Fall sure is the best time of the year!! Thanks for entering! Your Sweet pumpkin is everything I’ve been hunting for this year. I am starting to collect “out of the norm” pumpkins this season. My trio of authentic Sweetgrass baskets from Charleston, SC are going to be the centerpiece on the dining table this year filled w/ Spanish Moss & ANY ootn pumpkins I can get. Your pummy would be made to feel right at home & oh so LVED. Thank You for the opportunity to give this Babe a Loving home!! Chelie, Thanks for entering. Oh your basket collection sounds amazing. I love baskets so much. Shelia, I am a basketaholic and will have trouble letting this little guy go. Thanks for entering. Love this pumpkin shaped basket! It would be perfect in any fall decor vignette! Hi Michelle, yes, it would be perfect with any vignette! Laura, I am sure he would. Winner will be announced soon..stay tuned. Cindy, Thanks for entering. Stay tuned for his adoption status. I visited and followed you on Facebook. Thank you Cindy! Hope you find some great posts that inspire you. I follow you on Instagram as @normawatson. Thanks Cindy! I hope you enjoy my IG page and find some inspiration. I want to adopt this little pumpkin because I think it would be cute displayed with my vintage clay pumpkins. And also because a girl can never have too many holiday decorations. 😉 Thank you so much for offering such a fun giveaway. Oh Cindy that sounds cute, and you’re right, you can’t have too many! I visited the upcycled pumpkins post. The bowling ball pumpkin is adorable! I know! Isn’t it awesome! I told a friend about this giveaway by sending them the link. I pinned the giveaway on Pinterest. Great! Thank you Cindy! Good luck! I also joined your newsletter. Thank for joining Cindy. Good luck on the giveaway!